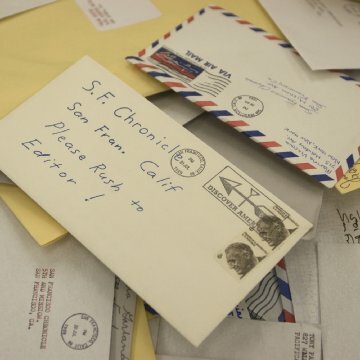 A serial killer in the San Francisco Bay Area taunts police with his letters and cryptic messages. We follow the investigators and reporters in this lightly fictionalized account of the true 1970's case as they search for the murderer, becoming obsessed with the case. Based on Robert Graysmith's book, the movie's focus is the lives and careers of the detectives and newspaper people. Taglines: Based on the true story of America's most notorious serial killer. Ione Skye appears in this movie in an uncredited cameo. "Hurdy Gurdy Man", by her father, Donovan, is used prominently in the soundtrack. Anachronisms: The computers shown in a scene from the early 70s were DEC computers made in the early 80s. "Zodiac" may frustrate viewers who come to David Fincher's latest film expecting a traditional serial killer thriller. The film begins with a couple of hair-raising and rather brutal recreations of murders carried out by the mysterious killer who terrorized the San Francisco Bay area in the late 1960s and early 1970s. These early scenes are shocking and, compared to the rest of the film, disorienting, because they offer the only time that we come close to seeing events from the killer's perspective. As the film progresses, the Zodiac killer himself fades into the background, and the movie turns into a meticulous and engrossing document of the investigation to track him down, an investigation that includes countless blind alleys and false clues and which to this day has not reached a conclusion. I would be more prone to label the somewhat rambling screenplay as sloppy storytelling if I did not feel that Fincher tells the story exactly as he wants to. The elusive narrative works, because the film is about an elusive villain. Jake Gyllenhaal plays Robert Graysmith, a cartoonist working for the "San Francisco Chronicle" at the time the Zodiac killer began his gruesome work. He becomes fascinated by the case, and takes it on as a sort of morbid personal hobby long after the police department has given it up as a lost cause. Graysmith eventually wrote the book on which this film is based, and according to his accounts, he discovered enough evidence about one of the suspects in the case to put the police back on his trail years after he'd been cleared for lack of evidence. Other characters come and go. Robert Downey, Jr. does characteristically terrific work as a reporter at the "Chronicle" who grabs his own portion of notoriety through his involvement in the case. Mark Ruffalo and Anthony Edwards play the two detectives in charge of the investigation. Chloe Sevigny plays Gyllenhaal's put-upon wife, who gradually loses her husband to his obsession. All of the actors deliver thrilling performances, many of them against the odds. Since this isn't a character driven movie, many of the characters remain undeveloped, but not, for once, to the detriment of the film. This story isn't about the people involved, but rather about their role in the Zodiac saga; once they've served their purpose, Fincher dispenses with them. Ironically, a film that clocks in at nearly 3 hours exhibits a great deal of narrative economy. 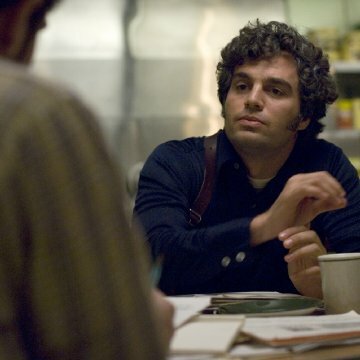 Parts of "Zodiac" are intensely creepy. 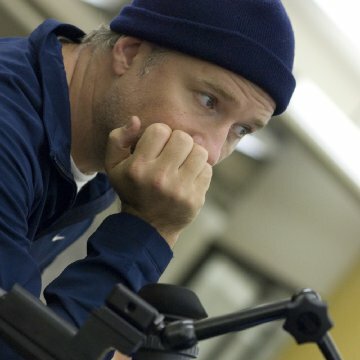 Fincher effectively uses the rainy San Francisco atmosphere to its maximum potential, and the grimy browns and grays of the production design call to mind Fincher's other well-known films, like "Seven" and "Fight Club." 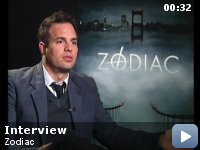 But "Zodiac" is much more grown up than those films, and for an audience to enjoy it, it has to have an attention span. 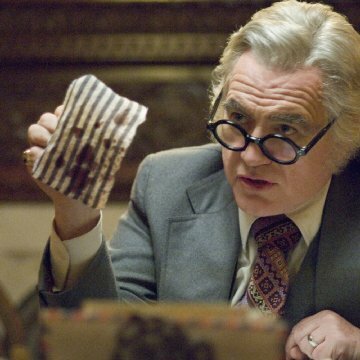 Long scenes are given to analyzing handwriting samples, recreating the scenes of murders, digging through newspaper clippings and files. You can tell that Fincher is fascinated by police work in the pre-CSI era, when fax machines were still a novel invention. He delves into the investigative process with a nearly fetishistic attention to detail, but he makes all of it endlessly mesmerizing. He does his best to bring everything to some sort of conclusion, but the real-life end to the story makes a complete conclusion impossible. This film is more about the journey than the destination, and what a journey it is.